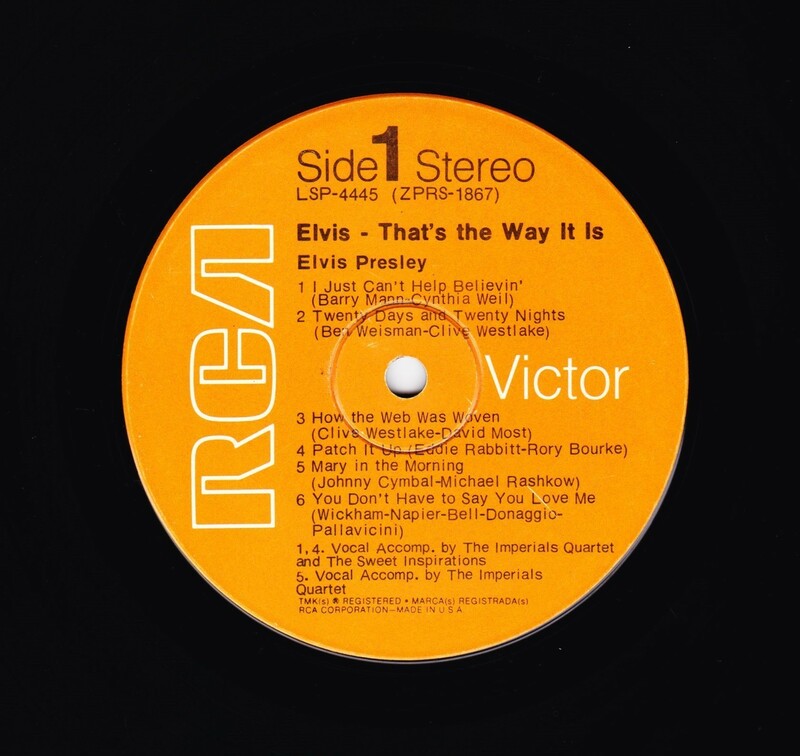 Elvis: That's the Way It Is is the 40th album by Elvis Presley, released on RCA Records, LSP 4445, in November 1970. It consists of eight studio tracks recorded at RCA Studio B in Nashville, and four live in-concert tracks recorded at The International Hotel in Las Vegas. It accompanied the theatrical release of the documentary film of the same name (although it is not generally considered a soundtrack album), and peaked at #21 on the Billboard 200. It was certified gold on June 28, 1973 by the RIAA. 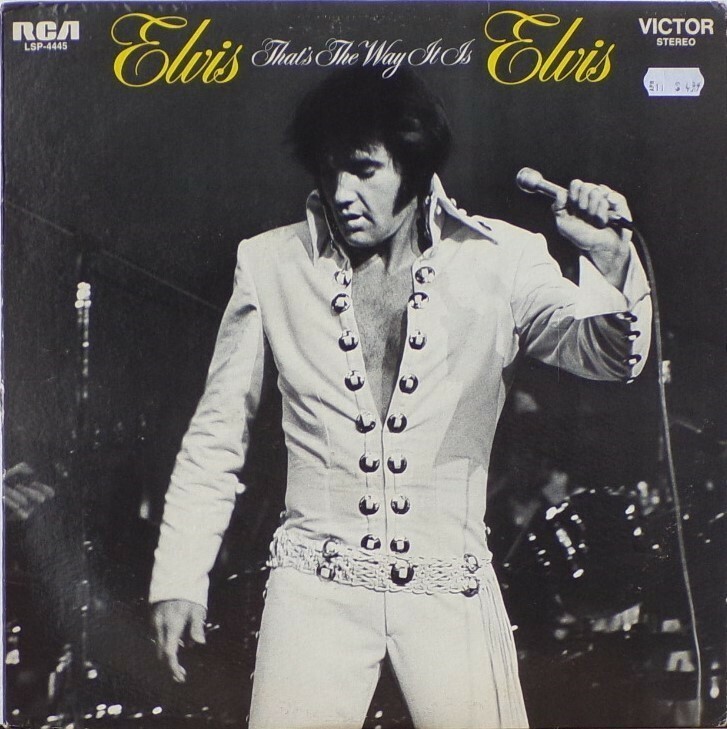 The original vinyl LP consisted of eight tracks recorded in the studio in Nashville at the marathon sessions in June 1970 that would also yield several singles and the Elvis Country album, and four tracks from his August 1970 engagement at The International Hotel in Las Vegas. The track "You Don't Have to Say You Love Me" had been released as the advance single on October 6; its b-side "Patch It Up" appears in a live version here. "The Next Step Is Love" had previously been released as a b-side in July 1970, and its A-side "I've Lost You" appears in a live version here as well. The concert version of "I Just Can't Help Believin'" from this album would be released as a single in the United Kingdom in November 1971 and go to #6 on their charts; its b-side "How the Web Was Woven" was also taken from this album. 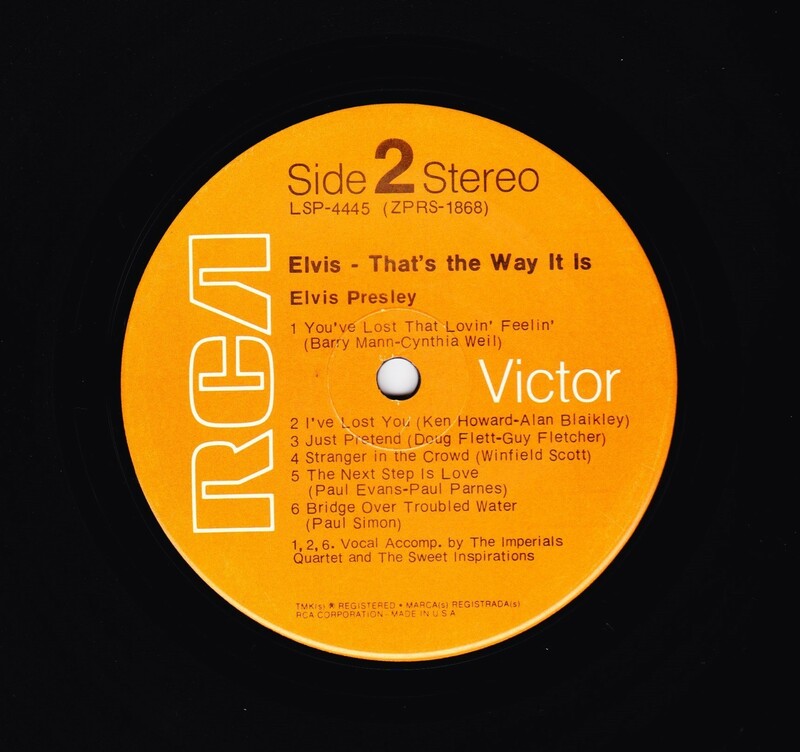 A rehearsal version of the latter song was featured in the 1970 documentary Elvis: That's the Way It Is. 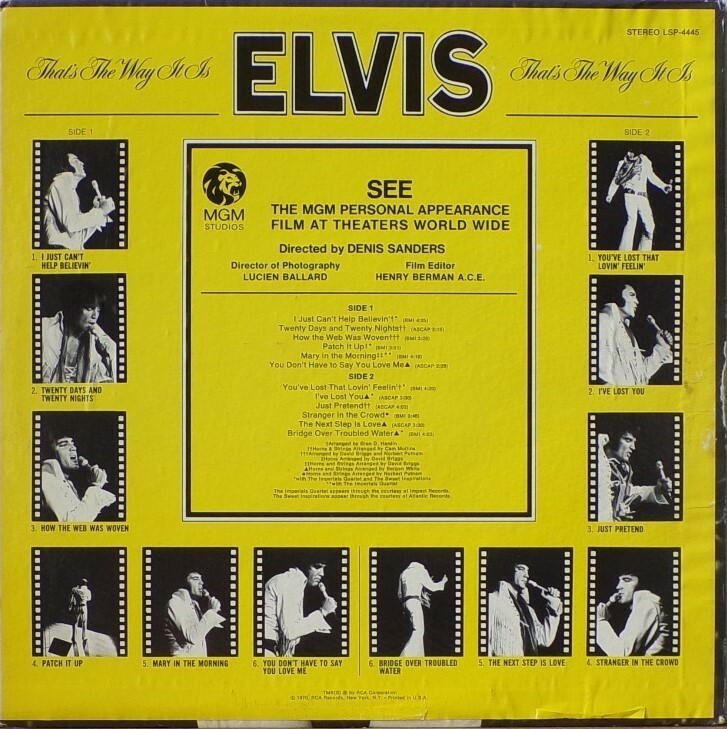 ​​Rear Cover : 12 Photos of Elvis. Catalogue number top right. Printed in U.S.A. bottom centre.